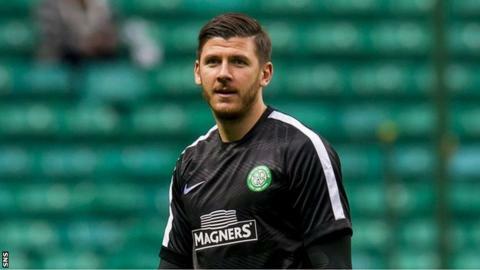 Celtic's Polish goalkeeper Lukasz Zaluska has returned to training in a Glasgow street. He took part in Celtic's session on Tuesday after being injured early on Monday morning in the city's west end. The ex-Dundee United player suffered facial injuries in the incident. Police said on Monday they were investigating a report of an assault on a 32-year-old man but would not confirm that another Scottish Premiership player was involved in the incident.